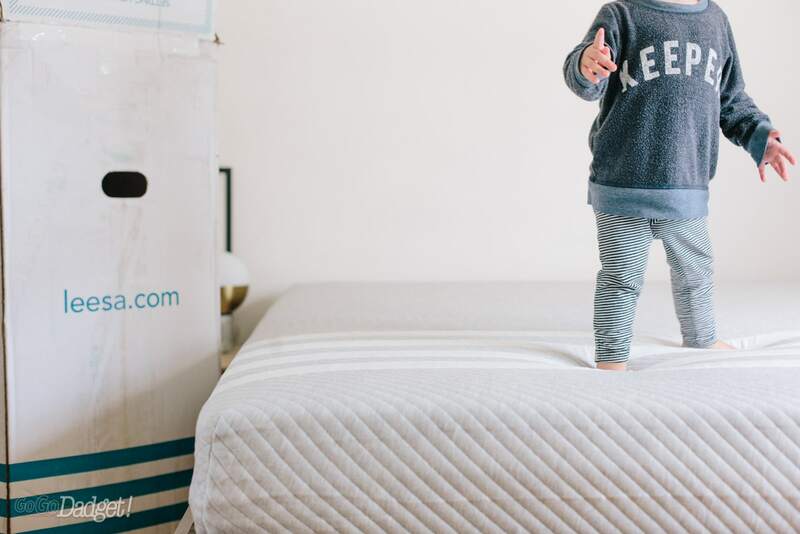 TL;DR: Our Leesa king size mattress is very comfortable, very convenient, and incredibly made. There were only a few hiccups during installation — and our time with it so far has been relaxing. The number one thing I hear parents say they wish they had more of is, of course, money. The number two thing I hear is that they wish they had more sleep. Number three would probably be time. 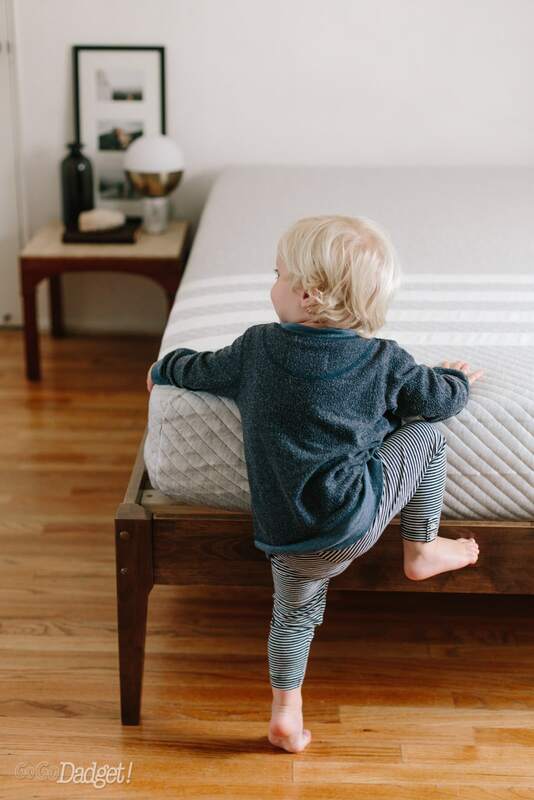 I know a lot of parents with mattresses that come from years before they even had kid, and the added expense and time it takes to choose something new just isn’t in the deck. There are always a million other things they could be doing and could be spending money on. 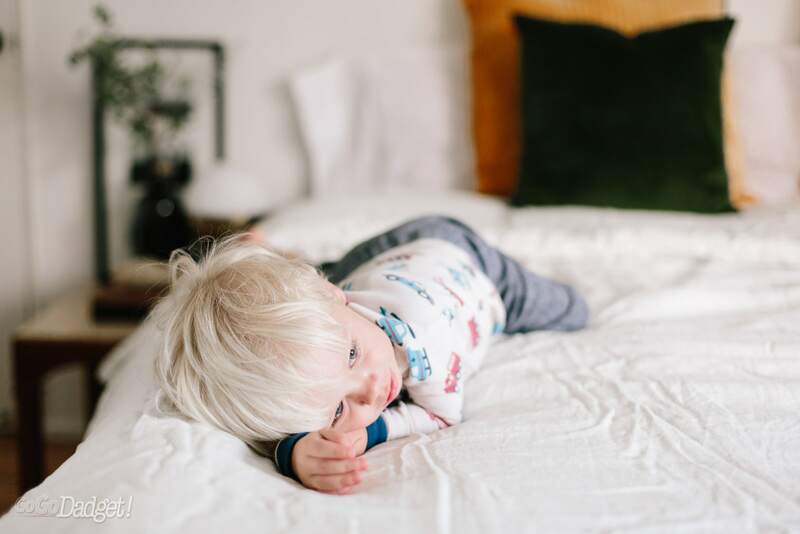 But we always hear that sleep is one of the most important parts of life, and when you’re a parent, you naturally get less of it just from dealing with your kids. The sleep you do get when you finally get it, should be the highest quality possible to offset the early mornings and midnight wake up calls. Leesa mattresses solve almost all of these issues. 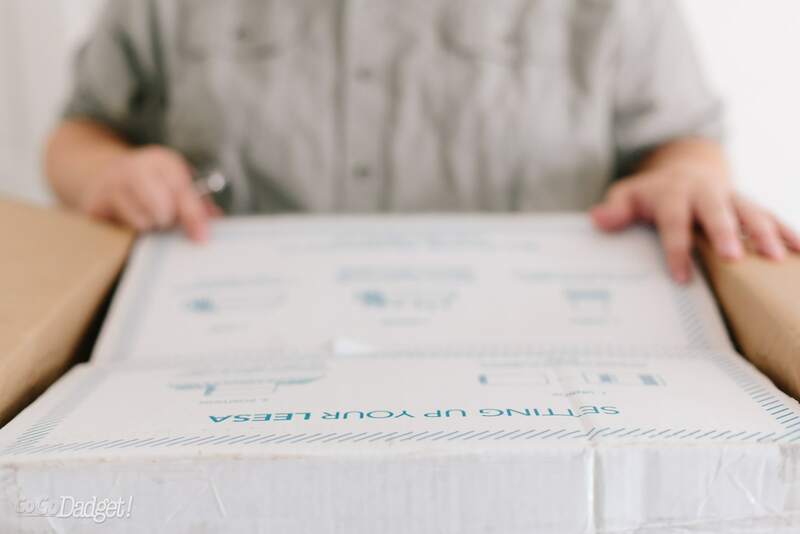 The Leesa mattress is sent directly to your door, compressed in a shockingly small box (even though it’s a big box, you think there’s no way a mattress can be inside). 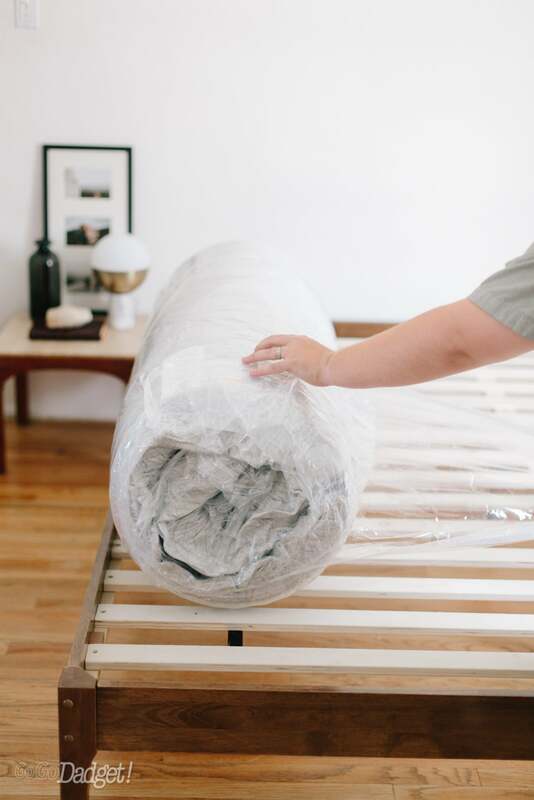 Once out, the mattress self-rises into the size and shape you’re used to. Half of the fun of these things is taking it out of the box and watching it plump up. 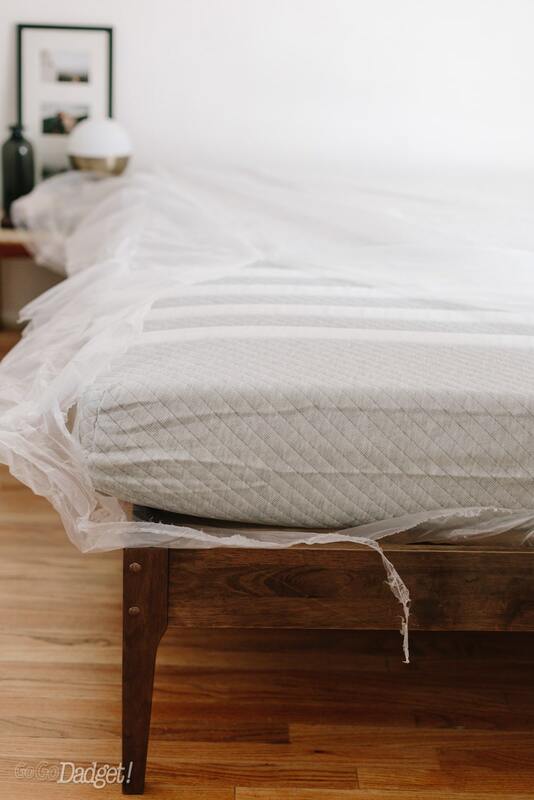 Leesa is one of a few brands that does this, but I was first surprised at how soft and high-quality the mattress cover was. It’s really beautiful and somewhat of a shame that it hides underneath sheets for the most part. 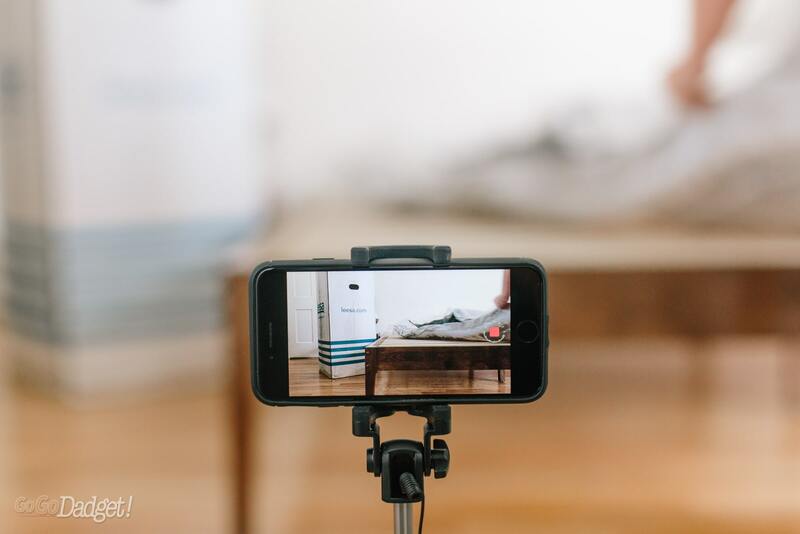 Sitting on the Leesa mattress feels a lot like sitting on other memory foam mattresses, save for the fact that it’s ultra-soft out of the box and firms up over the next few days. 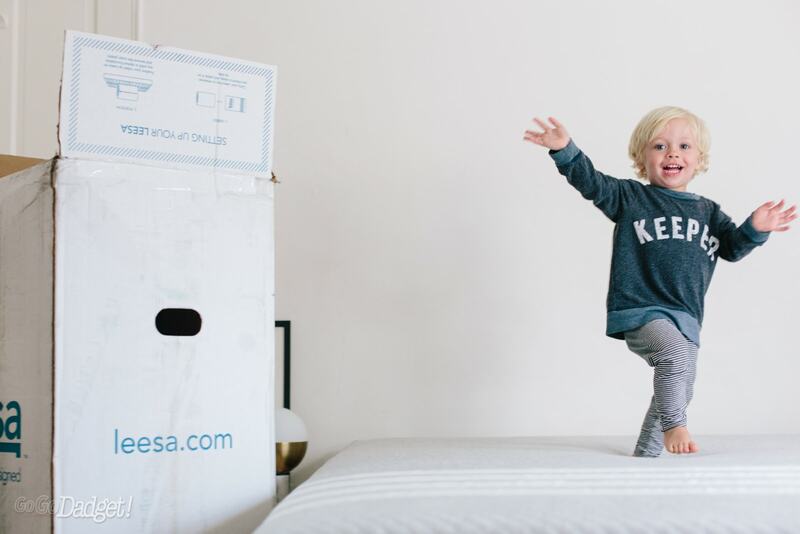 Leesa Mattress = approved by my son. It’s also made in the USA — and literally made to order before shipping, which is free (thank goodness, it’s heavy). 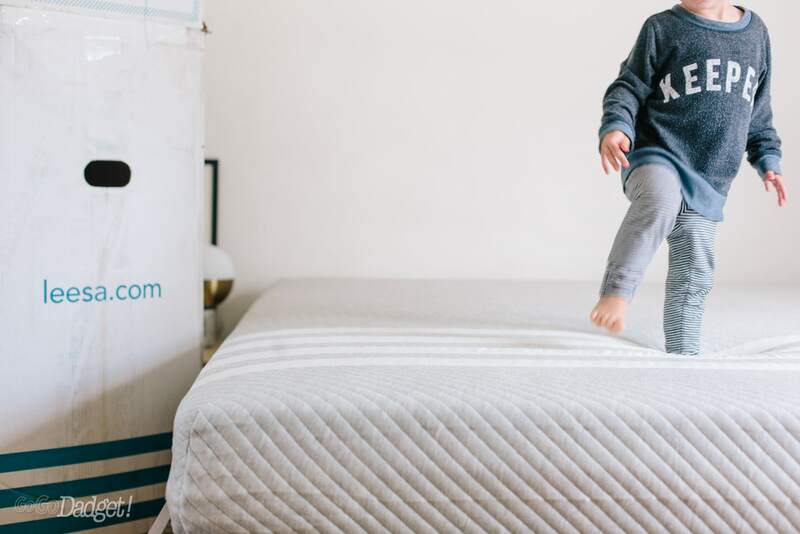 To make you feel even better about it, for every ten mattresses sold, one is donated to a non-profit organization that serves homeless and/or at-risk adults and children (over 18,000 mattresses donated so far). And for every one mattress sold, Leesa plants a tree. Leesa recommends using either a flat-slat frame or platform bed so it doesn’t droop or cave. I definitely like the idea of not having to spend money on a box spring if I don’t have to, and platform beds are stylish. Can’t a parent have one stylish thing in the house? Yes. Honestly, if you’re looking for some long tutorial on how to do it, they don’t exist. It’s so freakin’ simple that it’s just a handful of common-sense steps. 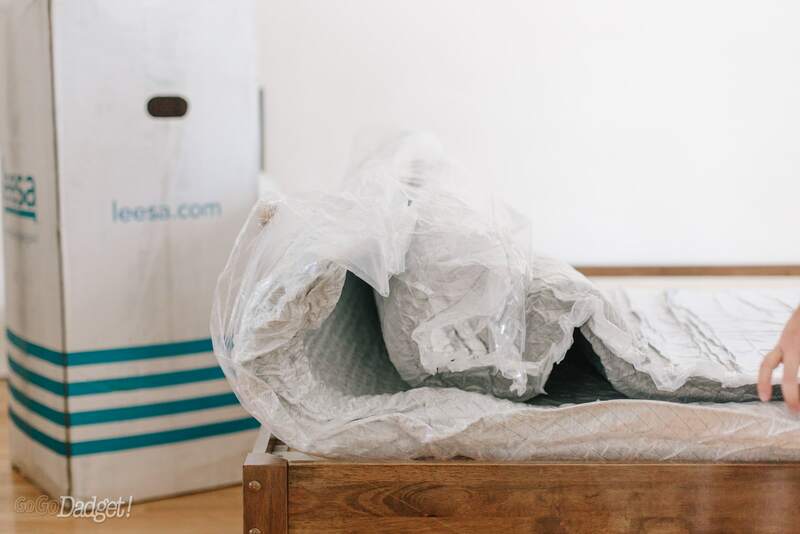 You open the box, slide/pull out the vacuum packed Leesa mattress, position it on the bed frame, slice it open, remove the plastic, and let it self-rise for an hour. It then firms up over the next few days. The only downside to set up is that if you need to move the mattress, it’s super unwieldy and it flops around and is very heavy. 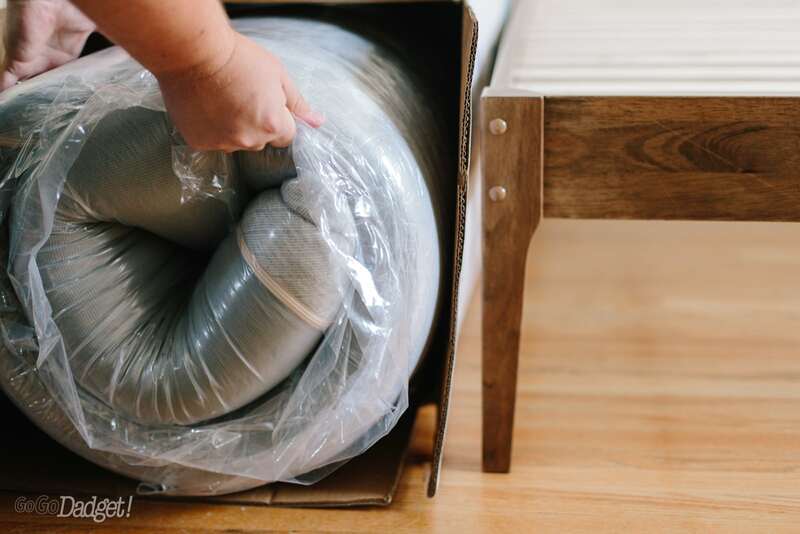 That’s all mattresses though, but because of the mattress cover, it’s hard to get a true grip on it — and the mattress cover now has a small tear in it that I hope doesn’t grow over time [Update: Leesa’s customer support was happy to replace it!]. Our first night was an interesting one. The kids were jumping on the bed so much that the supports under our king frame broke. We thought we had them in place and fixed again, but it left us feeling a little nervous as we were drifting off to sleep. That has absolutely nothing to do with the mattress, and everything to do with circumstances. Look, I’m terrible at sleeping in new beds, in new places, and when something could collapse at any moment. 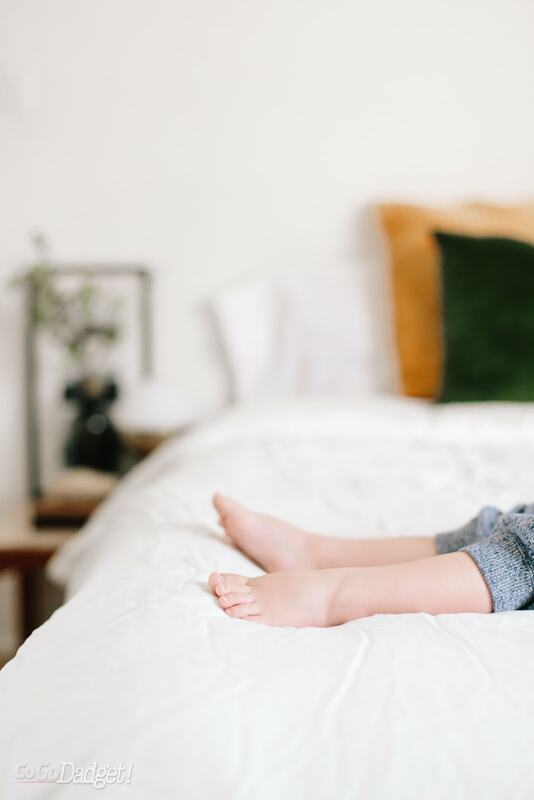 I had about as good of a night sleep as I could have for the first night — and if it wasn’t for the fear of things breaking, it would have been like I had been sleeping in the bed for years. My anxiety of a new place to sleep just wasn’t there. I woke up feeling good that the bed didn’t die overnight, and even better that I slept well… when I was sleeping at all… through the anxiety. We fixed our bed, and once it was properly situated, the thing that hits me the most is how silent the mattress and bed combination is. 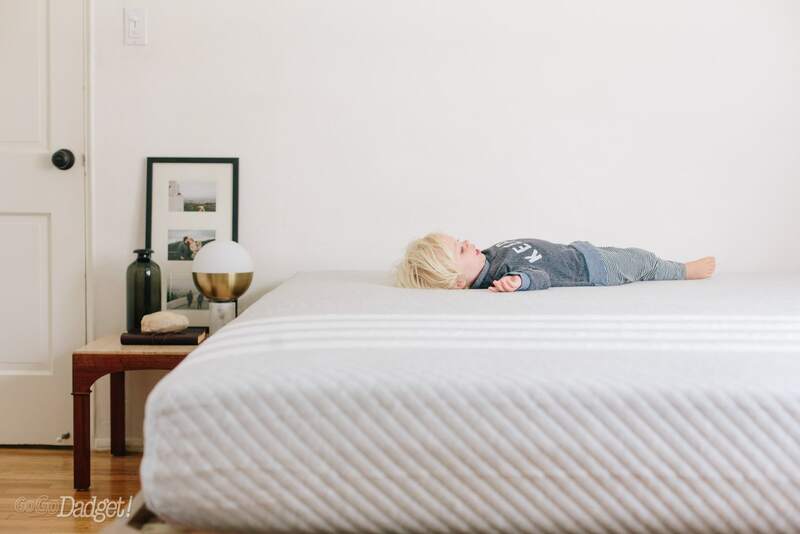 That’s not just about the mattress, but the fact that it can be used on a platform bed without a box spring — and that it has no springs in it at all — makes it the quietest bed I’ve ever owned. I have no idea when my wife turns over, and she says the same about me. I’m falling asleep faster and sleeping through the night more consistently. It helps that my son is finally sleeping through the night, sure, but there are times when he stirs or wakes up momentarily and it comes out loud and clear on the monitor. If that happens, though, I’m able to get back to sleep much quicker than before. 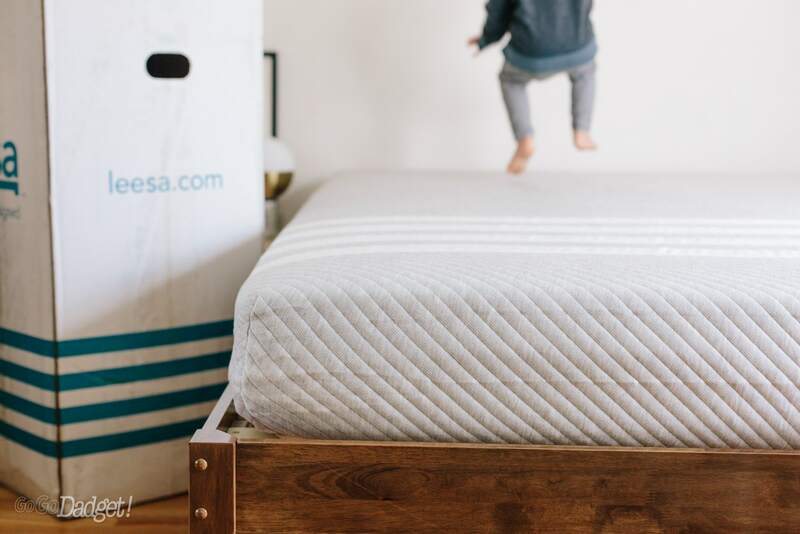 Sure, the Leesa mattress doesn’t fix poor decisions, like staying up too late or having one too many drinks, but I swear it does its best to give whatever sleep you can get a fighting chance at being good. Also, after two weeks, we haven’t noticed any sagging or caving where we sleep the most, it always has an easy time returning to full form. It lost its factory smell in a few days, and just like they said — it firmed itself to its current state and maximum firmness in about four days. I think my favorite thing so far is that I’m sleeping cooler than before. I’m a hot sleeper, so something is going on at a science-level to make sure I’m not overheating at night. Pretty neat. 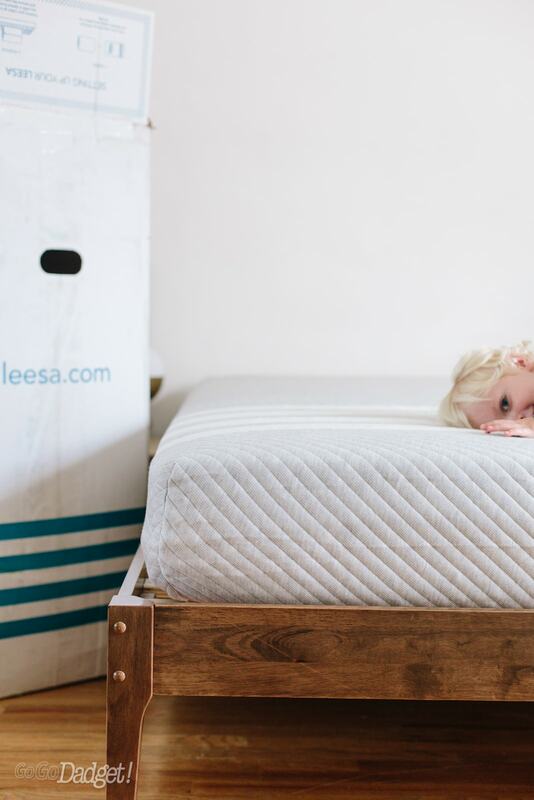 At the end of the first month with the Leesa mattress, we’ll have another post that details our experience. Stay tuned. Honestly, when I pitched Leesa to do a review, I had no idea what to expect. I didn’t know anyone who had gone the mattress-in-a-box route before, and I was just starting to research. I was pleasantly surprised to hear that they were game for a review, because to me that exudes confidence in a product. Luckily, everything is as advertised: it’s quick, easy, and comfortable. The only downside is trying to wrangle the thing if you need to move it after you’ve set it up — there’s no great way to get a hold of it, and it flops around hilariously under its own weight. 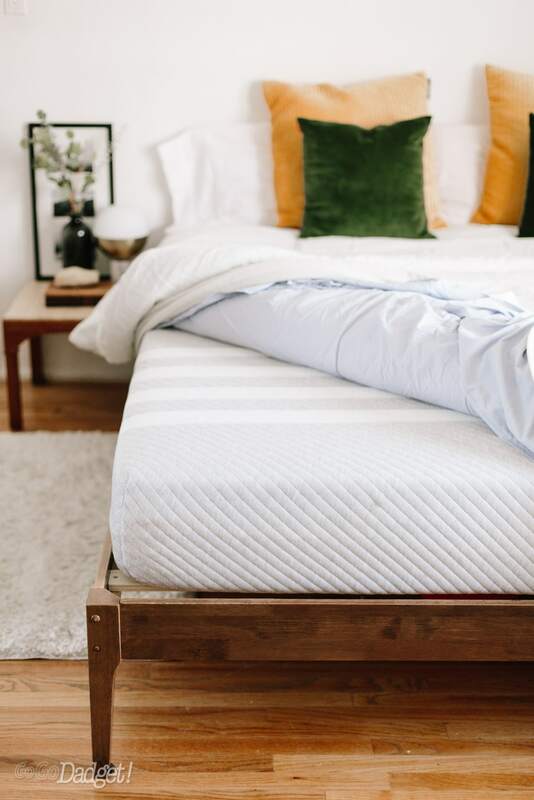 Other than that, the Leesa mattress, at two weeks in, gets a hearty recommendation from GoGoDadget. Price-wise, the Leesa mattress starts at $525 for a Twin, all the way up to $1070 for a King or California King. Not having to go to a store and deal with a salesman is worth every single penny. Head right here to snag one of your own, and use the code GOGODADGET for $100 off! 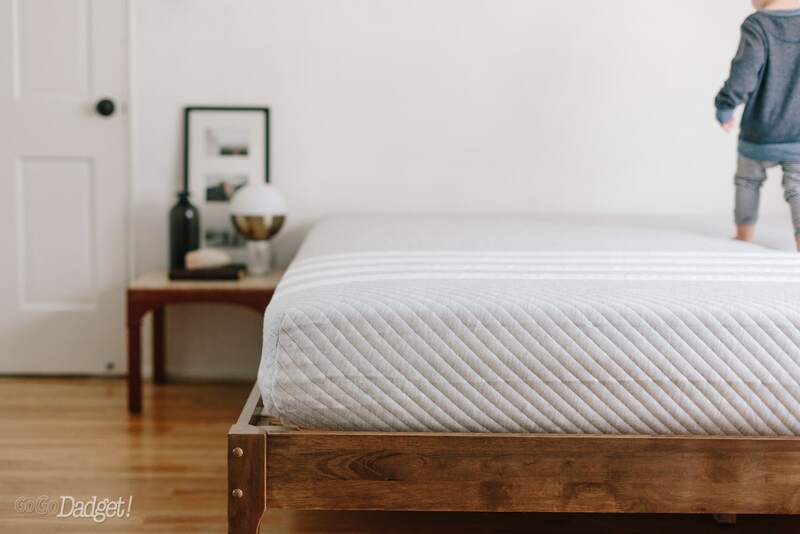 Oh, and if you’re a little bit nervous about buying a mattress sight unseen without at least lying on it somewhere for a few minutes, Leesa recently announced you can do just that in West Elm stores. You can also try the thing for 100 nights without worry — and it’s available in the US, UK, Canada and Germany. See you at the end of our first month! NOTE: Leesa was kind enough to send out a King size Leesa mattress to us at no cost in exchange for our thoughts and review. All the opinions are GoGoDadget’s, without any influence from Leesa. In other words, what you’ve just read is real, yo.